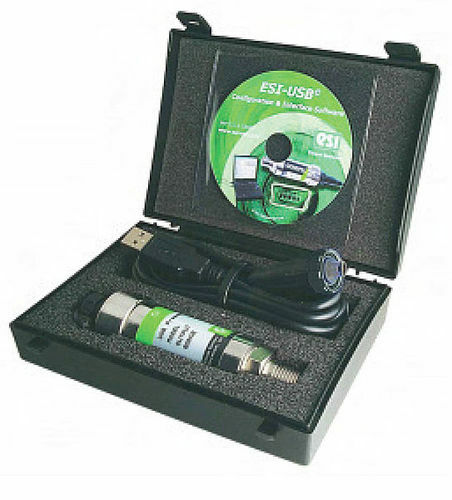 The GS4200-USB© Digital Pressure Transducer from ESI Technology Limited is a USB powered digital pressure transducer that is designed to measure, analyse and log pressure directly on the computer without using expensive I/O interface boards. The GS4200-USB is compatible to the basic USB 1.1 and the latest USB 2.0 ports. The product can be detected and configured automatically and is also supplied with a ESI-USB© Windows software.